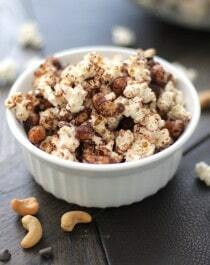 Healthy Chocolate Cashew Popcorn — it’s sweet, it’s salty, it’s crunchy, it’s delicious and it sure is addictive. One bite (or bowl) and you’d never suspect that this is a wholesome snack full of whole grains, healthy fats, fiber and protein! Pizza — no description necessary for this guy right here. Cookies — often storebought, and filled with hydrogenated shortening/margarine, butter, oil, white sugar, brown sugar, etc. Beer — this liquid gold just makes you crave more of… ALL OF THE ABOVE. Guacamole — creamy and chunky, delicious and nutritious! 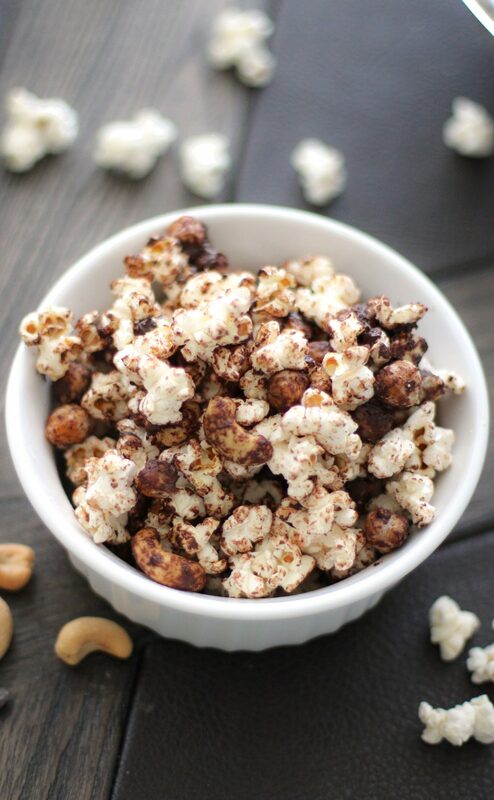 Thankfully, now we can add this Healthy Chocolate Cashew Popcorn to that super short “nice” list. Switch it up a little bit and swap this in place of the cookies! Just keepin’ things healthy and exciting. 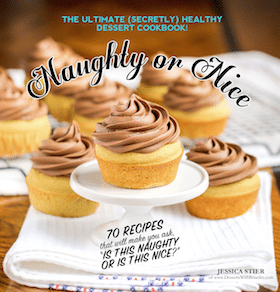 All you need to make this recipe? 4 simple ingredients + 1 BIG bowl. 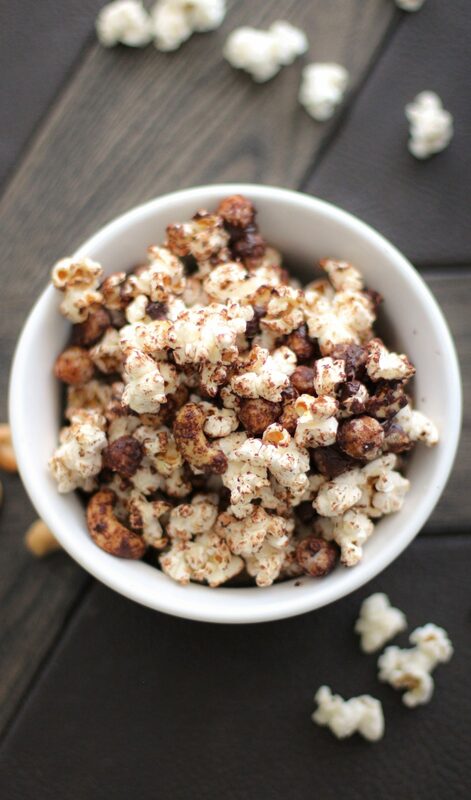 This Chocolate Cashew Popcorn is sweet, salty, crunchy, and delicious. 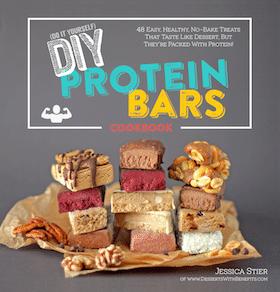 One bite and you'd never suspect that this is a wholesome snack full of whole grains, healthy fats, fiber, and protein! 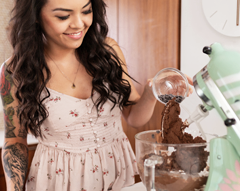 In your largest microwave-safe bowl, melt the chocolate chips. Stir in the cashew halves, crunchy roasted chickpeas, and salt. Fold in the popcorn until everything is evenly coated. Enjoy! This east 5-ingredient recipe works as a deliciously addicting snack for everyone to enjoy on Game Day. Or family game night. Or during party planning. The list goes on. BoomChickaPop popcorn is SO good. Any popcorn is good to me, it’s my favorite crunchy snack. 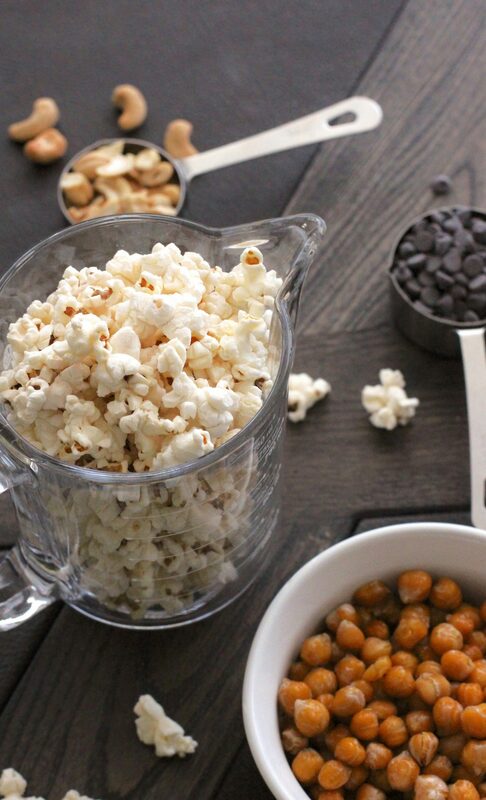 Hence why I just created my own healthier popcorn snack on my blog just this past week. I’m addicted. I eat popcorn just about every day! No kidding!